I have a vast collection of used bottles and jars that I like to use as flower vases. 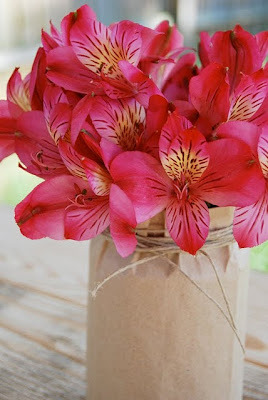 I think they look great on their own with flowers in them but sometimes I like to dress them up a little so I came up with this quick and easy and in my opinion, very cute jar cover. These would look great on a table for a summer barbecue or picnic. You could even write the menu on them or put them at each place setting with the person's name written on each jar like a seating card. 1. Cut along one long seam of the brown paer bag and then proceed to cut the bottom out of the bag. 2. Lay the bag out flat on a table. 3. Fold over the top and bottom of the bag so they are the same height as your jar. 4. Roll the bag around the jar. 5. 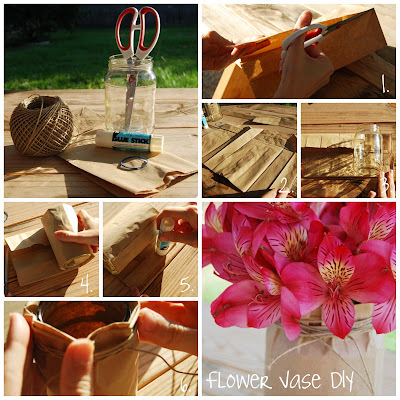 Fold the end edge over so it looks finished and secure it to the jar with glue or double sided tape. 6. Place a rubber band around the rim of the jar and then take twine and wrap it around the rim several times until you have covered the rubber band. 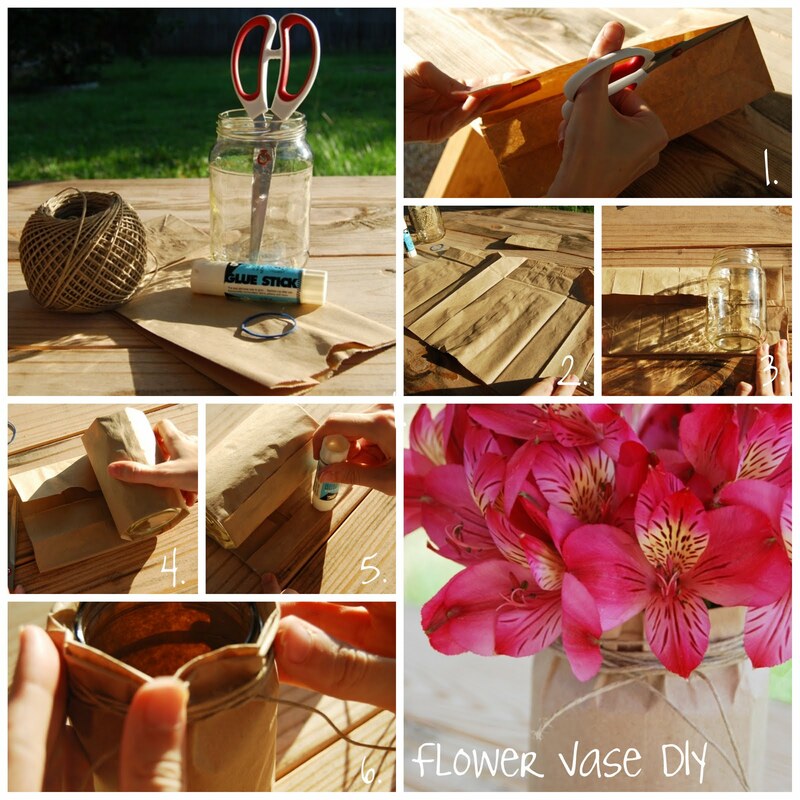 Tie the twine to secure it to the jar.